Whilst in the UK in June 2012 ( the wettest June on record in UK ) I decided to try and find out what information I could about my old car from the DVLA. After downloading the DVLA form V888 "Request by an Individual for information about a vehicle" I filled two of them in, one for Option 1 and the other for Option 2. Option 1: The name and address of the registered keeper of a vehicle at a specific date. 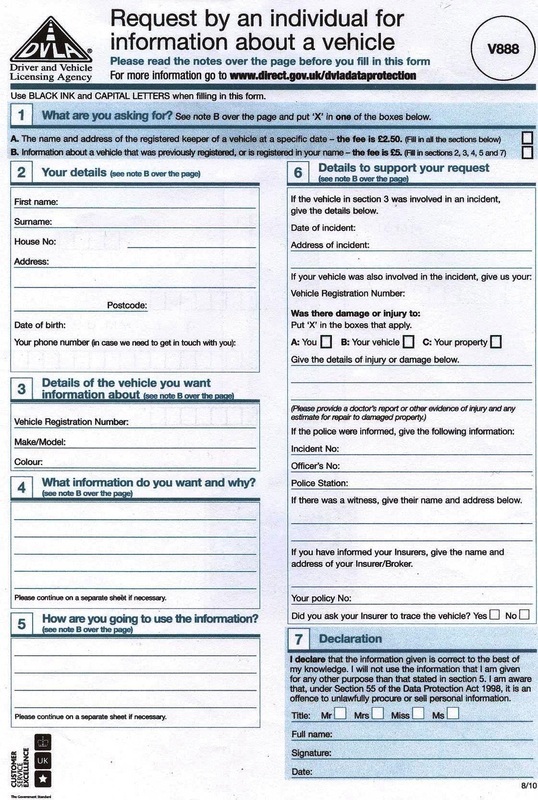 Option 2: Information about a vehicle that was previously registered, or is registered in your name. I attached the required fee to each form (£2.50 and £5.00 respectively) and then sent them off with my letter shown below. The first reply was from Option 1: this is shown opposite and was for "The name and address of the registered keeper of a vehicle at a specific date." I gave January 1st 1979 as the 'specific date' as I last saw the car in UK around this date. I also gave both colours 'Red' the original colour and 'Green' as that was the colour when I last saw it. Unfortunately the reasons I gave for wanting the information did not fall within the "Limited range of circumstances" that they release info under. One good point was that the DVLA did returned my fee, not that it was a fortune anyway, I would have much preferred the infomation requested. 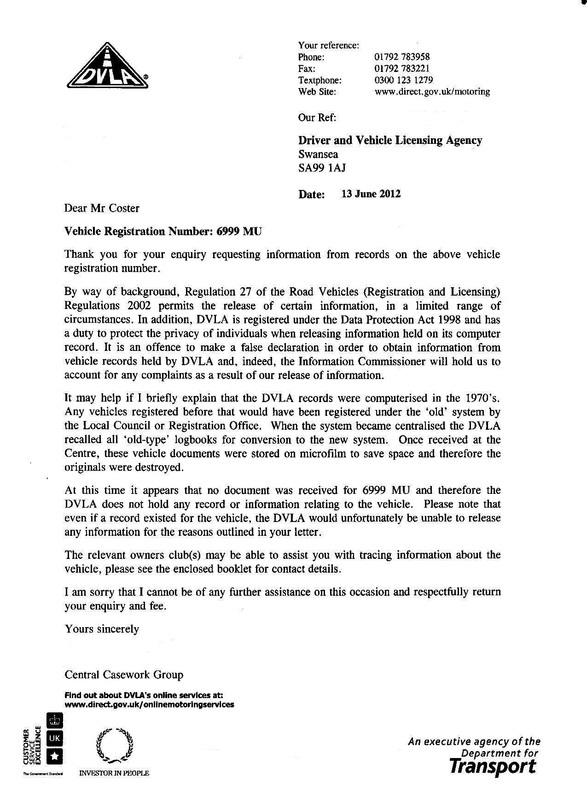 The second reply was from Option 2: this is shown opposite and was for "Information about a vehicle that was previously registered, or is registered in your name." 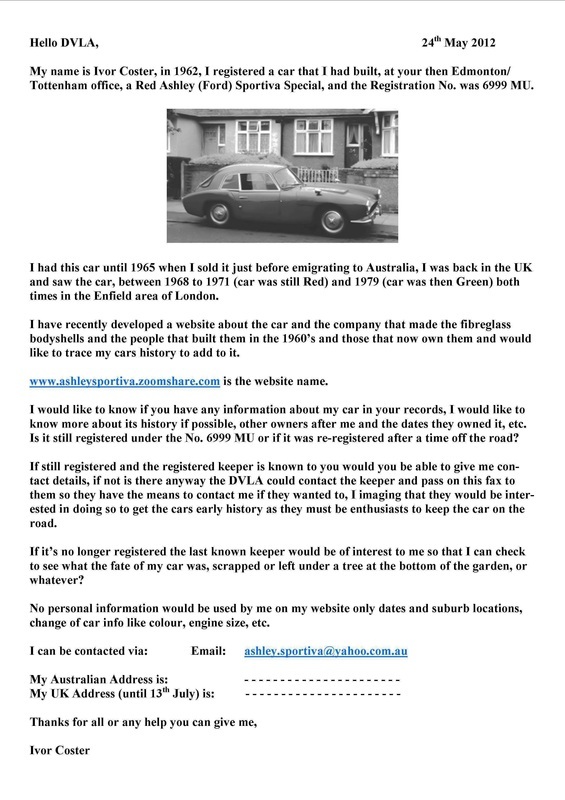 I gave details of my ownership of the car and my UK address at the time also my reasons for wanting any information about it. 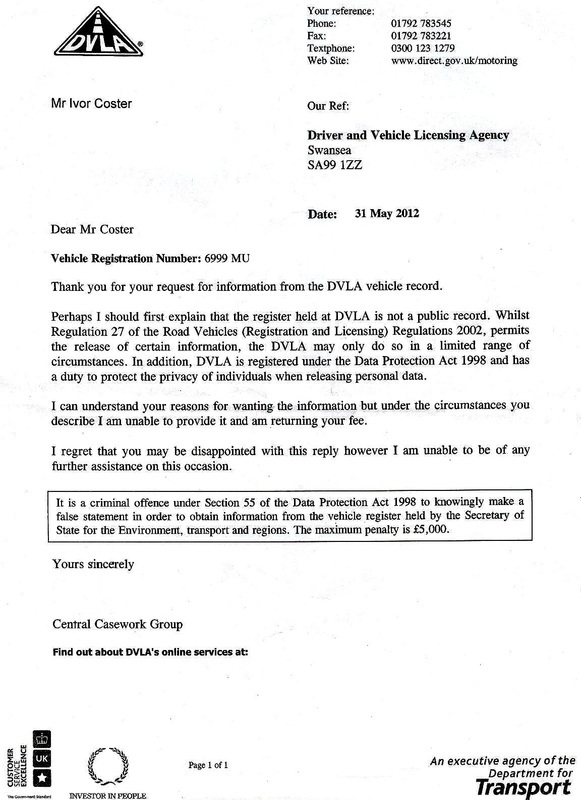 The reply I got was not the one I had hoped for and basically told me that my car "6999 MU" had not been converted over to the new DVLA computerised and centralised system in the 1970's and that they had no record or information about it. They also added that even if they did have information they would not be able to release it to me as my reasons for wanting it did not fall within the "Limited range of circumstances" that they release information under. Again my fee was returned to me so no loss was incurred, my thanks to DVLA for the help they could provide. 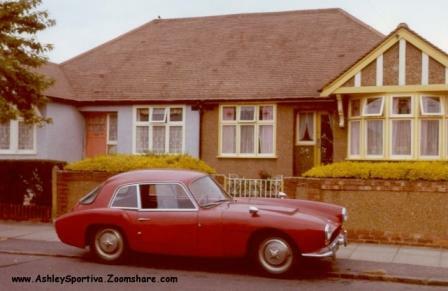 I should I guess assume from the fact that my car has not been registered or heard of since the late 1970's that it has gone to the big car yard in the sky, but just maybe it's resting in someone's old garage at the bottom of their garden. Should anyone know of it's whereabouts or can somehow find out anything about it's whereabouts I would be very pleased to hear from you.